Mazer & Associates, LLC is proving that creative thinking, solution integration, and unmatched integrity is the formula for success, growth, and most importantly, for client satisfaction. This formula has continually worked and is the primary reason why our average client has been with the firm over 15 years, and why we represent clients in over a dozen states. Our accounting services are designed to make your job easier and provide you with more time to focus on building your business. We place an emphasis on quality of service. We have developed a reputation for professional excellence through the high quality of services we perform for our clients. What makes our firm unique is the personal attention, commitment, and energy we bring to each client relationship. On the surface, accounting firms seem a lot alike. But some firms leap out ahead of the pack. So what makes Mazer & Associates, LLC different? Our people. Sincerely caring, really listening, and then putting your needs ahead of our interests. It’s our exuberant commitment: to put you above all else. Our firm works together, as a team, to ensure that the client's planning and execution are designed specifically to meet his or her accounting and financial needs and goals. Our growth and success is directly linked to our ongoing commitment to provide the best client service imaginable. We are continuously focused on expanding our services, leveraging unique business relationships, and improving our technological capabilities. We are proud of our track record and our ability to provide services for a wide array of companies and individuals. We will always devote the resources necessary to assist our clients in reaching their financial goals in today's competitive marketplace. We can help you with every aspect of your tax preparation and planning, including individual, partnership, and corporate returns. In the event of a tax audit, we are authorized to appear on your behalf before the Internal Revenue Service. 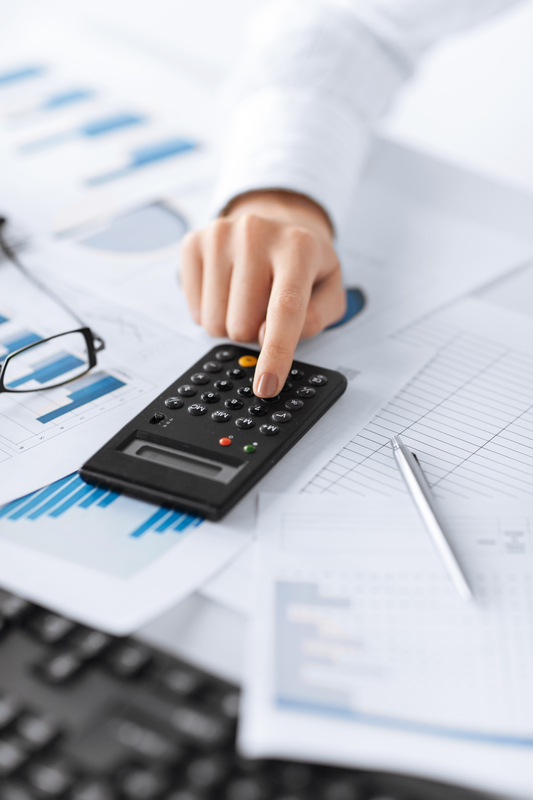 We also offer a complete range of accounting and auditing services; including compilation, review, and audit financial statements, along with QuickBooks onsite support and consultation services. To better meet the needs of our accounting and tax clients throughout the South Florida area, we also have individualized services for small businesses in industries like real estate accounting, hospitality accounting, professional services, and other service businesses. These individualized services have enabled us to address your industry specific challenges, compliance needs, and industry standard tax practices. Tony has been with the firm since 2006 and became managing partner in February 2014. He manages all aspects of the practice from client relations and marketing to running both the accounting and tax departments. Tony specializes in consulting new business start-ups, corporate tax and accounting, and personal tax. He enjoys guiding entrepreneurs in accomplishing their goal of being their own boss. Tony is an expert in all aspects of QuickBooks. His passionate efforts, love of people, and networking abilities have helped to grow the practice significantly and increase our exposure in the community. Jon has 30 years of experience in all areas from retirement and estate planning to real estate investment analysis and tax planning. Jon likes to be known as one thing: “a problem solver.” His creative thinking and solutions formulated results regularly solve client tax matters and focuses deeply on the individual needs of our clients. He also provides a wide range of business advisory services, such as business restructuring, financing, and portfolio analysis. His down-to-earth style and practical experience come from a long-time culture of helping people and feeling passionate about doing so. Jill has been with the firm for over 30 years, having joined in 1984. She provides tax planning and strategies to minimize taxable income. Her creative ideas and tax strategies have saved many clients significant sums of money over the years. She prepares a wide variety of income tax returns together with an emphasis on complex tax matters. Her expertise revolves around individual, estate, trust, and gift taxation. Jill also helps both business and personal tax clients regarding IRS and state tax matters including tax audits and collections. Jill's patience, coupled with her bubbly personality, make the clients at Mazer & Associates feel at ease no matter what the circumstances of their call or visit. Judy has been a C.P.A. since 1990 and has worked in both the public and private accounting sector. Judy joined the firm in 1991 and specializes in the healthcare industry. Judy is an expert in QuickBooks consulting and all aspects of payroll and accounting systems for new businesses. Judy works with clients in identifying problems in a firms profitability and provides immediate and sound solutions. Kelly has been with the firm for 8 years. Her bi-lingual and diverse background allows her to represent a wide range of clientele from builders and developers to wholesale distributors and professionals throughout the U.S. and South America. Kelly is an expert in all aspects of QuickBooks, Peachtree, as well as other various accounting software packages. She provides management advisory services to many of our clients, from establishing retirement plans to cost segregation studies. Brandon started with the firm in 2012 as a staff accountant and was promoted to senior manager in 2014. Prior to joining Mazer & Associates, he worked for eight years in the mortgage banking sector managing a residential portfolio of over two billion dollars. His role as accounting manager includes the support of small business owners to optimize proficiency in their accounting practices and he holds the designation of QuickBooks Pro Advisor. He has also proudly served in the United States Marine Corps as a field radio operator for 4th ANGLICO. Denise has been part of the Mazer & Associates team since 2013. She manages all the administrative functions of the office. She works with both new and existing clients on keeping current client account information and manages the firm's accounts receivable and billing. Denise also provides client hospitality with various reception duties, scheduling appointments, processing and mailing documents, in addition to working with the firm’s professionals by handling central administrative duties. Diane joined our firm in 2017. She brings over 30 years of tax and accounting experience working with business owners from several industries; including real estate, hospitality, construction, professional services and manufacturing. In addition to her business tax experience, she also has extensive experience working with trusts and estates. Her creative energy and practical approach to problem solving are a great addition to our firm. You can check the status of your refund at anytime by visiting the IRS website. Thank you! We have received your consultation request and we will be reaching out to you soon!